With summer in the air, the exterior of a home becomes even more important when putting your house on the market. Buyers will be spending more time outside looking at your property and envisioning what their summer barbecues and family playtime will look like. Not only do you want to make your home more appealing, you want to add value to your home that you can recoup in a sale. How do you add value to your home? The addition of any amount of usable real estate to a property increases value. 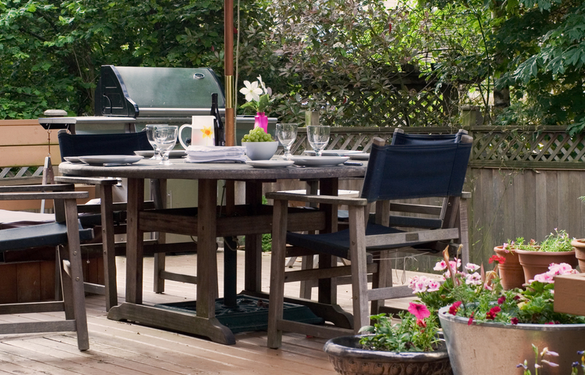 Customized decks and personalized outdoor living areas are a hot trend in home upgrades. 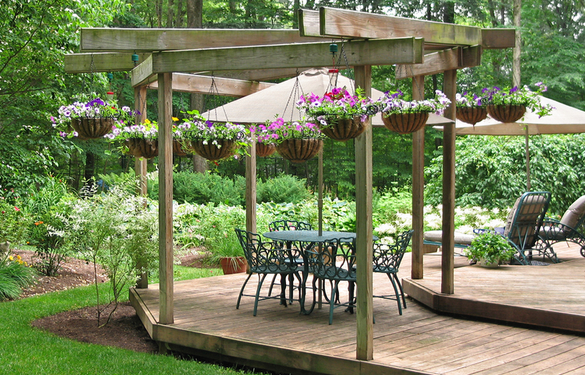 A great-looking deck may entice more people to come see your home. 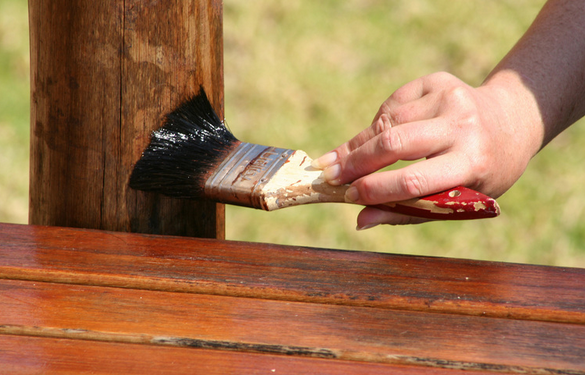 Building or updating an existing deck isn’t simply a great investment, it also provides opportunities to personalize your backyard and customize to your taste. With many families staying home this summer to save money, why not create the perfect location for entertaining? Deck experts agree that multi-level decks are the most popular now. These are a series of decks connected by stairways or walkways, which are aesthetically pleasing and can be used for different purposes. One level can be used to catch the sun, one level can be positioned for shade and another can be set close to the house for entertaining and barbecuing. 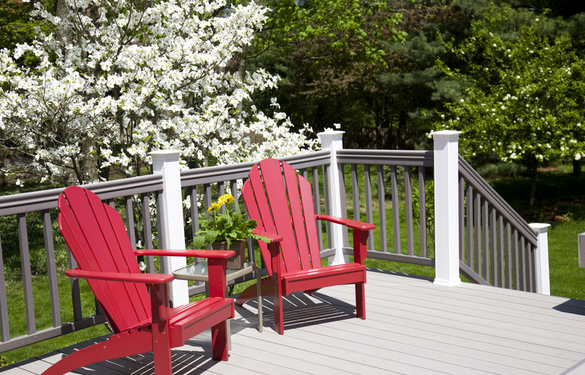 Wood decks have always been the most popular, but caring for them is tough. They will rot over time, are subject to insect infestation and require a great deal of maintenance to keep the wood from fading. Accordingly, people are embracing composite materials for their decks, which initially cost significantly more but will last longer with less maintenance. For those homes that already have a deck, it’s important that it’s still in good shape and adds to the attractiveness of a property. You can change your deck’s appearance with interesting balusters to match other decorative accents on your house or in your yard. They can add unique touches to make the deck a personal haven. Meanwhile, railings are a great way to pull in color and detail that complements the house. Thinking about selling your home? Find out what your home is worth and other ways to increase its value by giving us a call at 734-747-7500, leave a comment below or shoot us an email at info@bhhssnyder.com anytime. Appreciating the commitment you put into your blog and in depth inaoomftirn you offer. It’s good to come across a blog every once in a while that isn’t the same out of date rehashed inaoomftirn. Excellent read! I’ve bookmarked your site and I’m including your RSS feeds to my Google account.